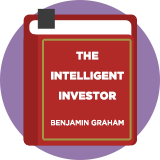 Benjamin Graham Defensive Investor is a demanding, deep value 'bargain' investing strategy based on rules suggested by legendary investor, Benjamin Graham, who wrote The Intelligent Investor. The strategy focuses on value stocks with good quality financial characteristics. It uses price-to-earnings as a valuation measure and looks for larger companies with a consistent track record of earnings and dividend growth, manageable debt and a high current ratio. Ben Graham wrote: "An investment operation is one which, upon thorough analysis, promises safety of principal and an adequate return. Operations not meeting these requirements are speculative." Defensive Investor is a stricter approach than Ben Graham's enterprising strategy, which look for unpopular companies, special situations and 'bargain' issues.